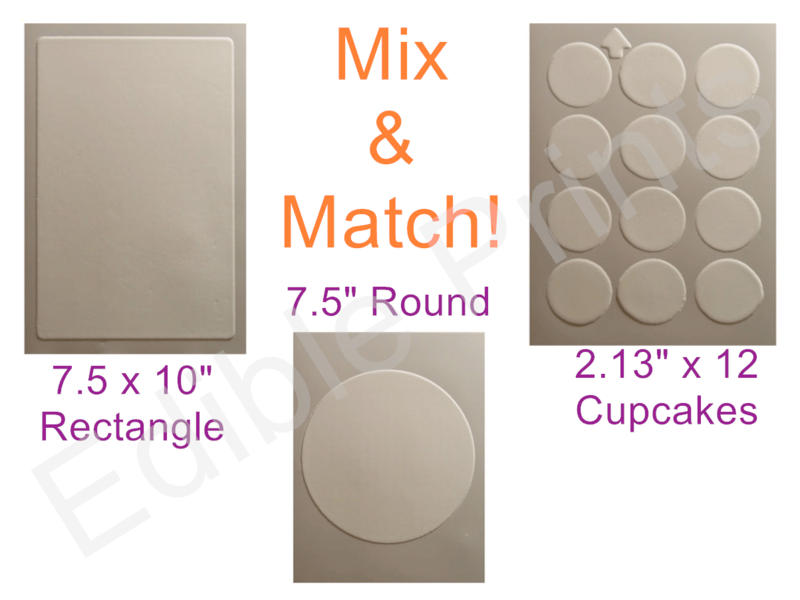 This sample pack of 5 sheets can consist of a selection of different icing sheets. Used by us here at Edible Prints since 2008. Our customers love the quality of these icing sheets (see the feedback section).